I am going to be putting up a lot of new travel nursing jobs this week at two of my sites…….Nursetown and also my newsletter Weekly Top 25. The picture in this post is one that I took last Spring….June to be exact. 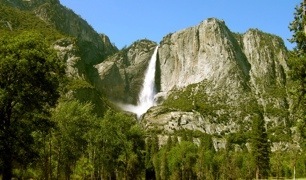 It is in Yosemite National Park. For those unfamiliar with the area, this wonderful place is driving distance from places like San Jose, San Francisco, Merced, Fresno and Sacramento. There are very regularly travel nursing jobs at all of these locations listed on mys sites.